The PulseTech SP-25 (735X325) is a 25 Watt Pulse Solar Charge that supplies 12 volts to charge to lead acid batteries. The stainless steel design makes this module "unbreakable", resistant to vibrations, debris, and natural weather elements. 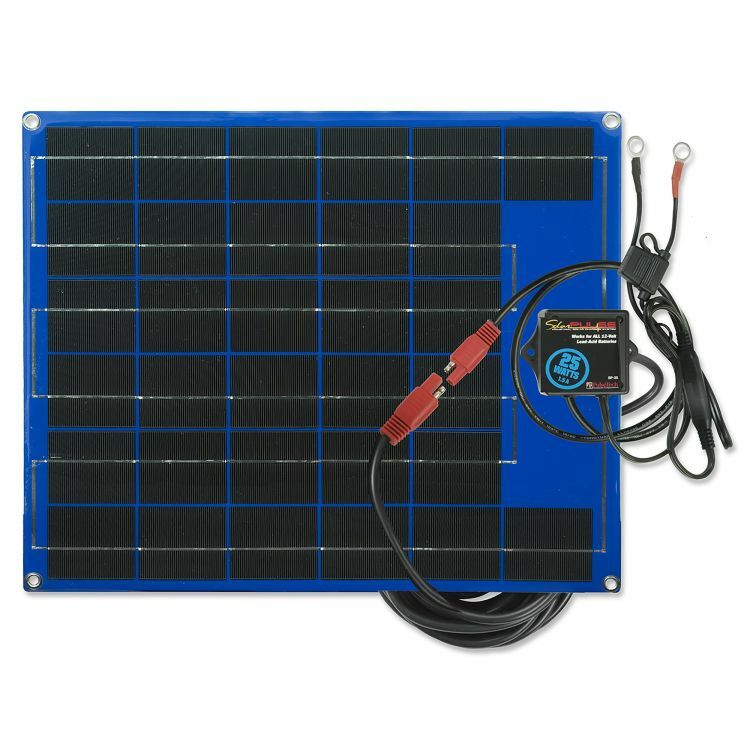 The SP-25 has an output of 1.6 Amps in direct sun. The Control Box (Pulse Receptacle Unit) charges the battery for power and pulses to extend battery life and performance. Three LED lights indicate Power On, Charge and Pulse, Reverse Polarity, and No Connection. The PRU will only pulse the batteries when the solar panel is exposed to sunlight. The PRU does not pull any energy from the batteries. Excellent for maintaining 12 volt batteries, average of 6.4 to 9.6 amps of charge per sunny day. Do you own the SP-25? Please, tell us what you think about it. It helps us provide you with better products. Please note that it may take up to 72 hours for your review to appear.